We need to go on a break. You've been a big part of my life for years, and I'm thankful for the time we've had together. You've gotten me through days when I was so tired I didn't have the energy to wash my hair, and you accompanied me on trips when I knew I'd need a quick in-flight bathroom refresher. (Yes, I'll never forget when we joined the mile-high club together). None of this is lost on me, but I'm afraid my heart has guided me elsewhere. I know this isn't easy to hear, and please know that I'm not taking this lightly. It's just that our relationship has reached a bit of a stalemate. You see, I got a new haircut recently—perhaps this was a premature breakup haircut—and it's been met with a lot of inquiries from other products wanting to help me style it. I never considered myself a polygamous user of dry shampoo, but truth be told, my job requires me to network. 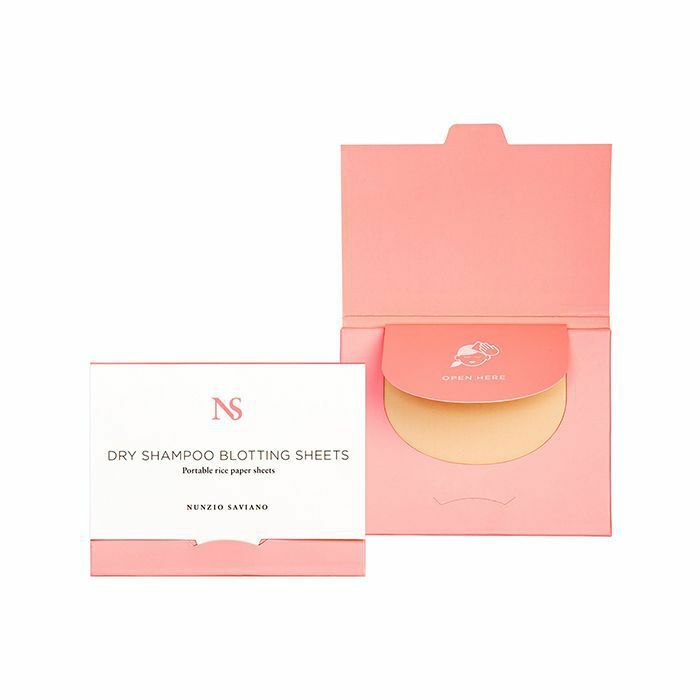 One of the connections I made was with Nunzio Saviano Dry Shampoo Blotting Sheets ($24), and we just kind of… clicked. I'll spare you the details, but I want to give you closure and help you understand why the sheets and I are a better match. For one, the sheets aren't aerosol—they're made of ozone-friendly absorbent rice paper and lined with powder to soak up oil on the go without leaving behind a powdery cast. I also appreciate how understated they are; we work well in group settings. Your and my presence was a bit volatile when we were public, and I think it'd behoove the both of us to separate, if not just for the sanity of others. I'm not saying we didn't have our good times, but remember that one Saturday when I took you out to brunch? Table 5 was so upset—I can't have that happen again. Nunzio's sheets also help me to be more productive. I've consulted them at work, on my commute, before a big event—they support me in a way that you can't. I apologize for being blunt, but I'd be remiss not let you know what went wrong. Listen—there are plenty of other heads of hair that would be lucky to be with you. You're a good product. I'm just really happy with how things are going with the Nunzio Saviano blotting sheets, and I'd like to continue to explore our relationship. Please send your family my regards, and best of luck in the future.